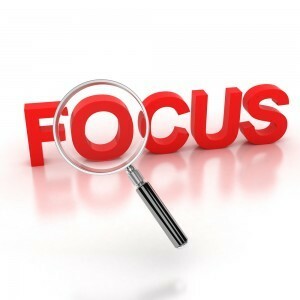 In your presentation , what are you focuing on? If you are bombarding your audience with a huge amount of information, haven’t really thought about the real purpose of your presentation and if your presentation isn’t clearly organised – you will loose your audiences attention. The audience’s attention is not very long – you have around 5 minutes – if you haven’t grasped your audience’s attention and interest in that time – their attention will start to waine and you will have to work much harder to get over your information that is so important to have you there in the first place. Your focus when presenting your business overview, your pitch or speech is crucial. Here are a number of questions that need to be asked when preparing a presentation. 1. Who is your audience and Why are they at your presentation? 2. What is the purpose of your presentation – Why are you giving this presentation? 3. What is the message you are wanting to leave your audience with? What is the thought you want your audience to remember about your presentation – in the next week, the next month, the next year from your presentation? 4. In your presentation, what are you focusing on? Is the focus of your presentation really matching your message and objectives of your presentation? 5. Are you focusing on the needs of your audience and is everything you are focusing on matching with your audience needs? These are five crucial points that you need to be really clear about and focusing on when preparing, practicing and presenting your presentation? If your aim is to keep your audiences attention right through your presentation – Be very clear on these five points. Next Next post: From Broke to Top Franchisee in 2 Years!